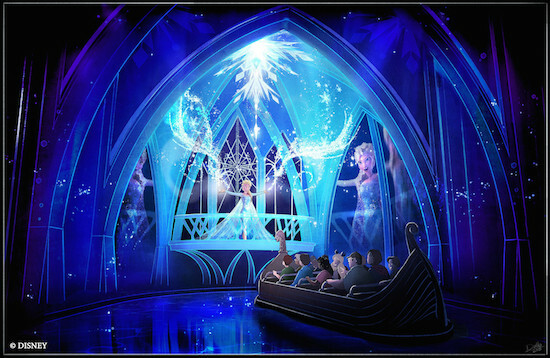 The first details on Frozen Ever After, the Frozen ride expected to replace Maelstrom, have been released on the Disney Parks Blog today. Frozen Ever After concept rendering. The guests are seen riding in Viking-style longships that appear very similar to the ones used on Maelstrom. The ride is expected to start guests out in Arendelle on a hot summer day when Elsa decides to grant a one-day wintry respite for her subjects. Elsa’s Ice Palace and other prominent locations from the 2013 film are also expected to appear. The Norway Pavilion will be expanded to facilitate the additional crowds. 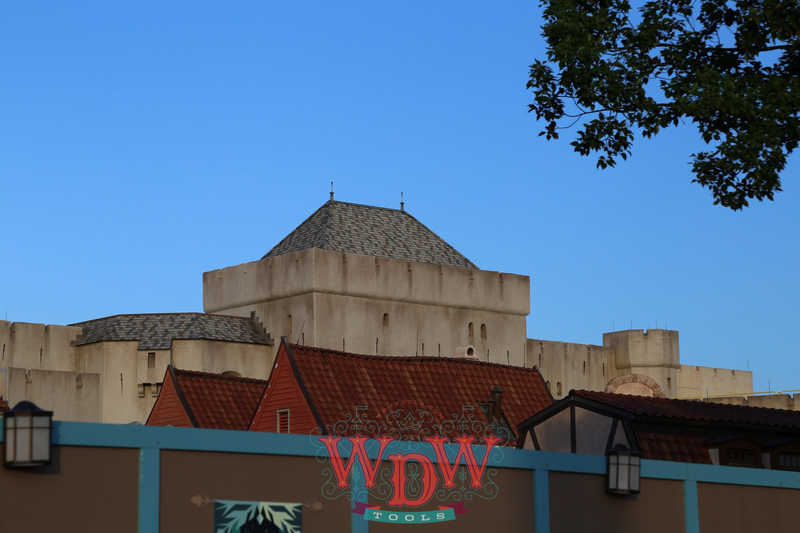 Details on the expanded facility were revealed through a municipal filing (zip of docs) in January, which was falsely reported as a complete conversion of the pavilion from Norway to Arendelle. Vacant land bordering Mexico and Norway, previously speculated to be the home of a new pavilion, is being used to accommodate the work. The expanded Norway will have “many unique Norwegian architectural features and afford guests the opportunity to meet Anna and Elsa at Epcot, which has been unavailable since the sisters moved to Princess Fairytale Hall in the Magic Kingdom in April 2014. A castle, reminiscent of the one shown in Frozen, can be seen rising over the Norway pavilion from the World Showcase. This photo shows construction as of May 17, 2015. 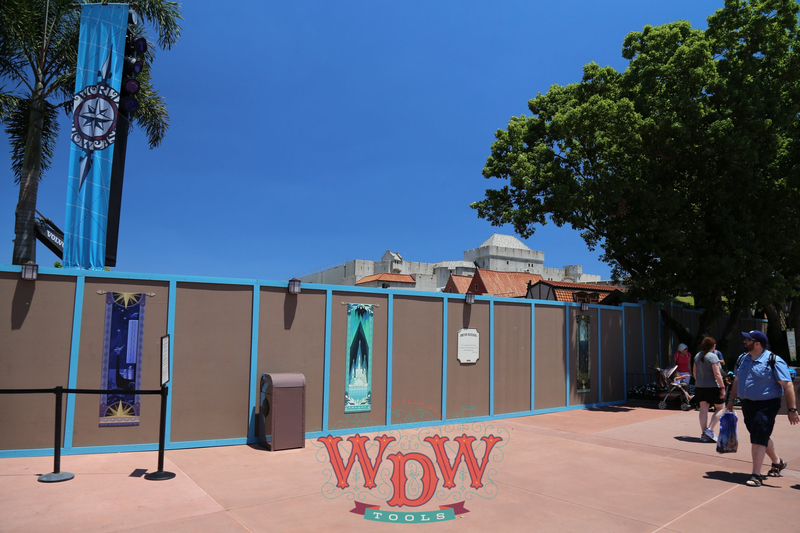 Construction walls are decorated with Frozen-themed art. The renovation of Norway’s pavilion to accommodate the demand for a Frozen attraction has been a source of controversy within the Disney Parks community since the shutdown of Maelstrom in October 2014. Prior thereto, the World Showcase had been fairly immune to vertical integration, retaining a high-class educational atmosphere. Concerns that Disney will lose respect for the mature ambiance of the World Showcase and seek to replace neutral cultural experiences with the next hot promotional opportunity stalk many fans. 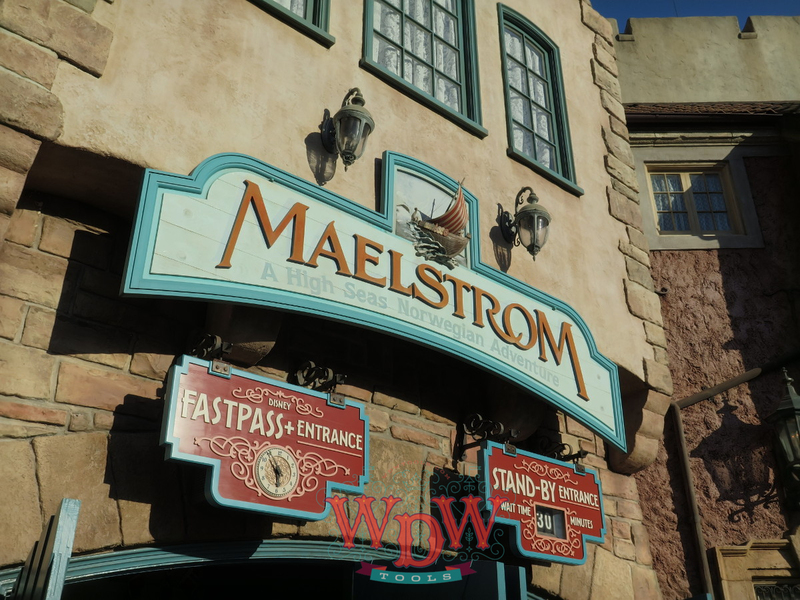 Maelstrom’s signage before its closure. Disney executive Tom Staggs told the Wall Street Journal that the integration is justified because of the larger crowds it will bring to the pavilion, saying “[i]f the goal is to give people a taste of something like Scandinavia with the Norway pavilion, then ‘Frozen’ would only increase the extent to which people would be drawn to it”. Frozen Ever After is expected to open in 2016.